This sweet little plate was hand built by me from fine Australian lumina porcelain clay. 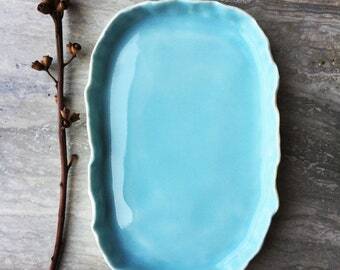 It is perfect for serving food on, or simply as decorative art object. After forming and drying the plate by hand, it is then bisque fired. 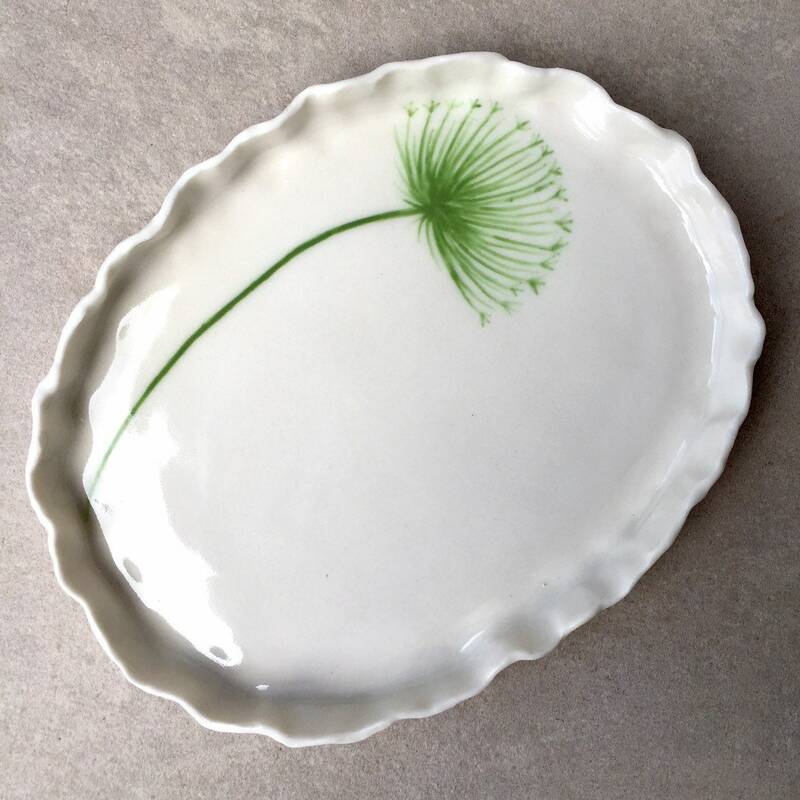 I hand painted the plate with my original dandelion design in green underglaze and coated it with a clear glaze. It was then fired at a high temperature, giving the porcelain strength and durability. The plate is 18.5cm long, 2cm deep, and 14.5cm at the widest point.